Things are still looking on track with winter storm moving through the Midwest today. I have already seen reports of 3" to 5" of snow across the St. Louis area and 1" to 3" across central Indiana. 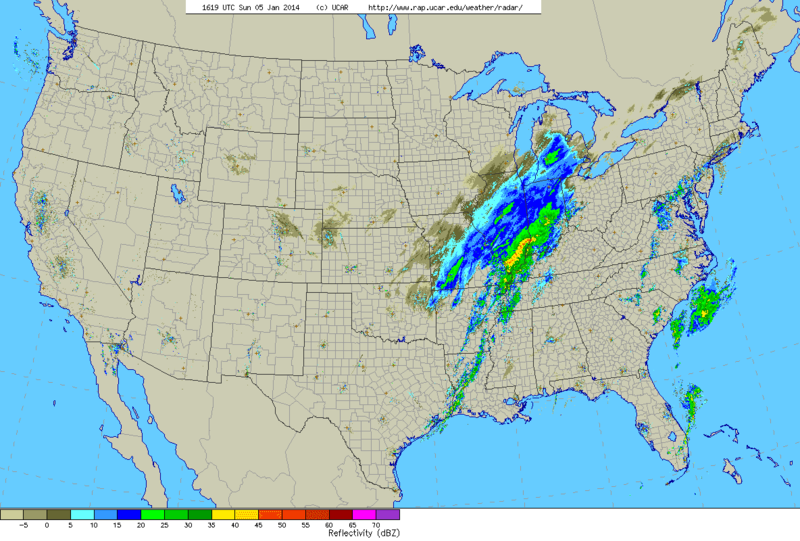 National radar composite from 10:23am CT. I have been hearing several people complain about rain falling this morning in parts of Missouri and Indiana. Keep in mind, all day yesterday I had said there would be rain in the morning and it would change over to snow in the afternoon. That is still expected to happen in a couple of hours. Patience. I have been taking a quick glance at some of the data coming in this morning. I'm feeling pretty good with most of my snow forecast but I am going to make a few minor tweaks. Snow will continue through Sunday afternoon/night.